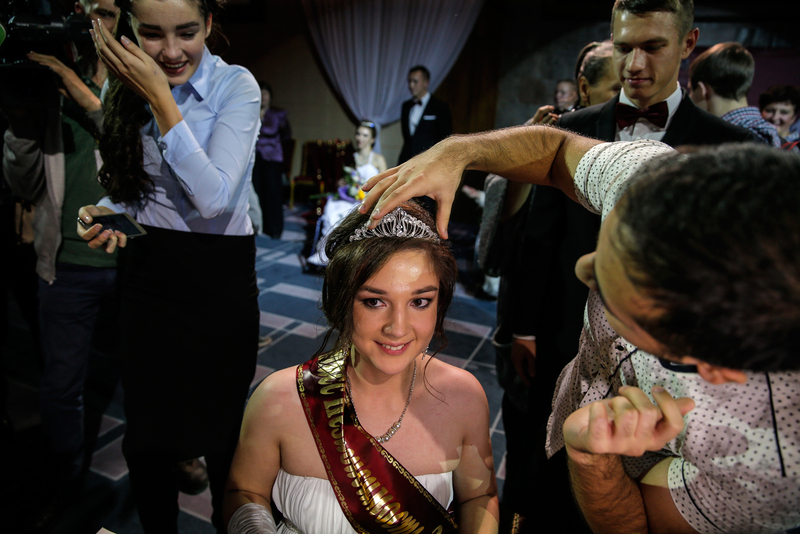 Friends and relatives congratulate Miss Independence 2016 Elena Semakina at the beauty contest for disabled people in wheelchairs, the 'Miss Independence 2016' in Moscow, Russia, 13 October 2016. Nine participants took part at the final of the the beauty contest for disabled people with wheelchairs. Russia has more than 13 million disabled people and 600 thousand of them use wheelchair in their daily life.